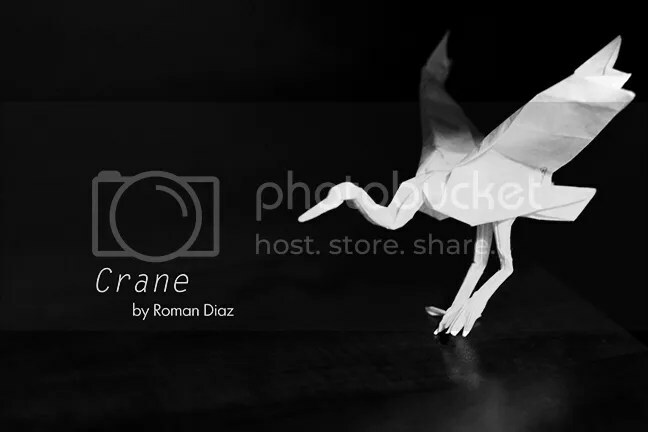 Crane designed by Roman Diaz, as found in Origami for Interpreters. The hanji paper was kindly provided by Hanji, a Korean papercraft shop in Toronto. Pay them a visit, the owners are very nice and friendly!